Molson Coors came to us to as a trusted glass expert and partner to create a new Coors Light glass for global use. The objective: to create an iconic glass shape that embodied ‘mountain fresh’. Working with the international Coors Light Committee as well as procurement teams from around the world, Brand Concepts also guided Coors Light’s advertising agency. Sharing the elements behind our design helped them devise a strategy that would leverage the glass as an asset that aligned with the brand. We collaborated with the glass supplier who, with our direction and input, designed the glass. 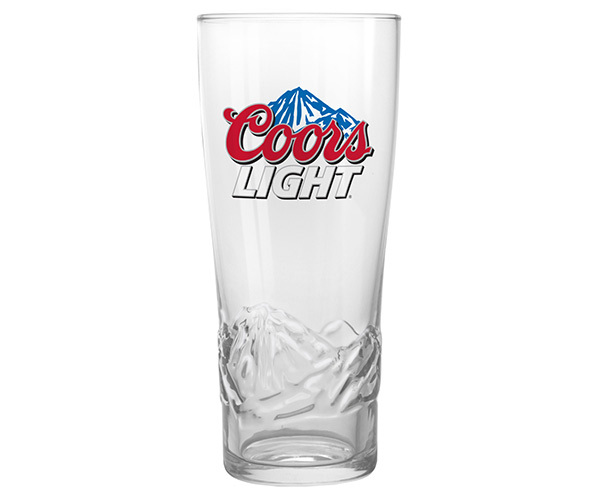 The glass became the Coors Light signature glass in Canada, the United States and the UK. 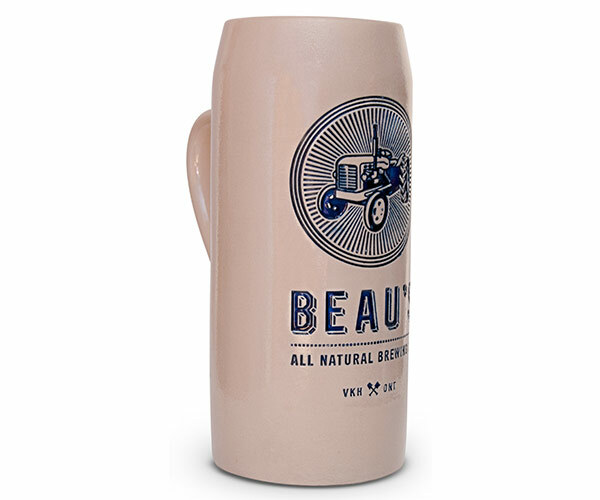 When Beau’s approached us about setting their Oktoberfest beer mug apart from conventional vessels, they were in the market for something very different. Drawing inspiration from vintage Oktoberfest mugs, we created a special salt glaze finish and a debossed logo treatment. The decorating technique helped Beau’s establish their brand identity and stand out in a sea of traditional Oktoberfest mugs. 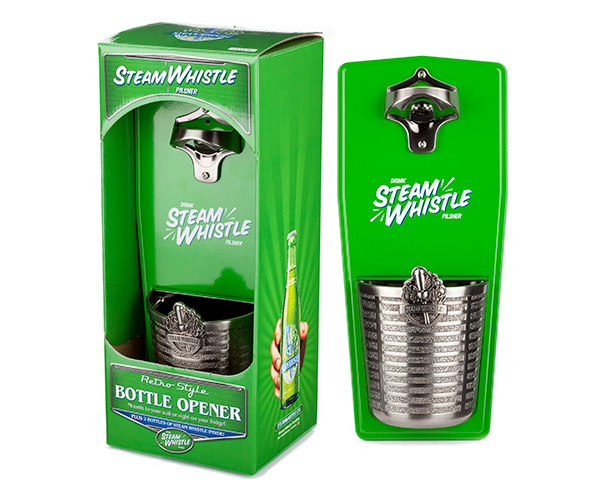 After designing a Wall Mounted Opener for a holiday in-case promotion, Steam Whistle asked us to turn their concept into a working product. Our team developed a magnetic backing for the cap catcher so it could easily be removed and reattached after emptying the caps inside the cap holder. We also upheld brand integrity by ensuring the details of the Round House were maintained in the emblem. This collaboration resulted in the creation of a successful product that was awarded an ELSIE award by the LCBO. It remains one of Steam Whistle’s most popular merchandise assets, and to this day, it continues to fly off the shelves.